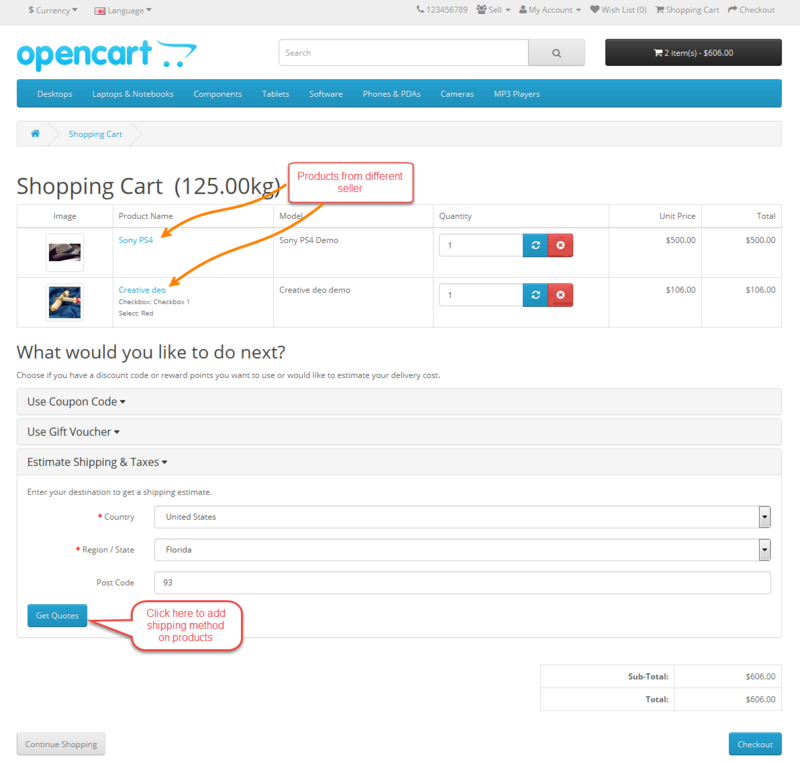 Opencart Marketplace Multi Shipping module enables the seller to allow Multi-shipping method for buyers. 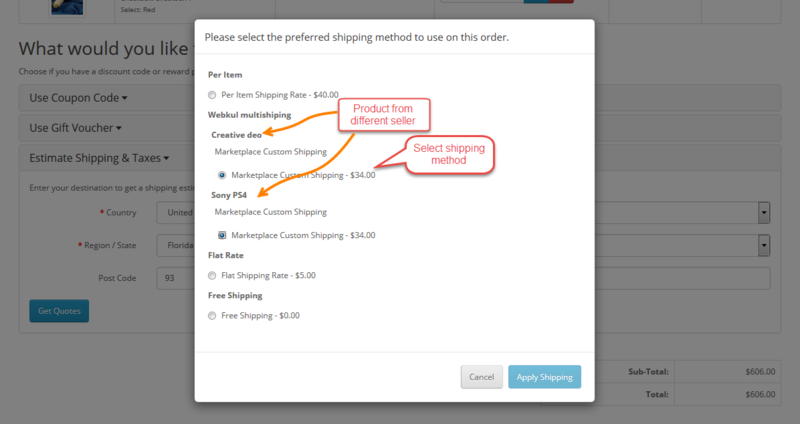 With the help of this module, the buyer can select different shipping services from the different seller in the same order. Since it’s an add-on for the Marketplace Module, so marketplace module must be installed before installing the Marketplace Multi Shipping. Sellers can allow the multi-shipping method for buyers. 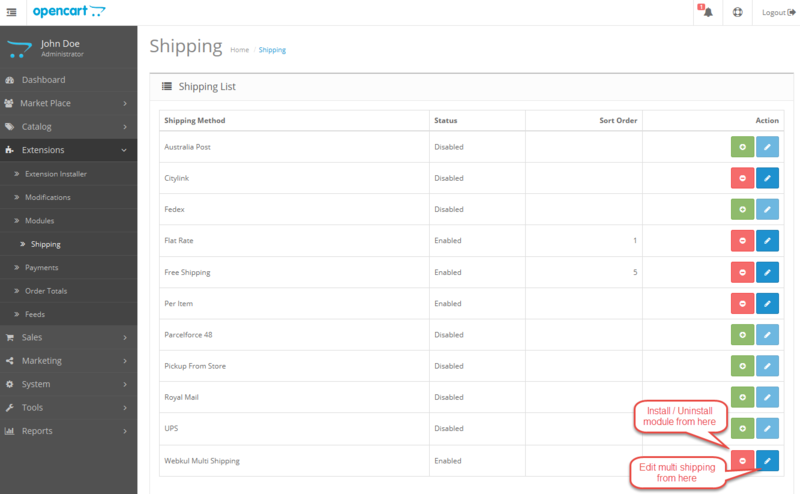 Sellers can find shipping method in order history. This is a technology based era where everything is simplified even the online shopping. We all know about shopping apps and its advantages-how it reduces and makes our shopping experience hassle proof. So it is very important for all the Store owner to have a shopping app for providing a more convenient way to shop from their online store and now Webkul’s has launched its new app Opencart Marketplace Mobile App. Opencart Marketplace Mobile App converts your marketplace store for Opencart into a mobile app. Your customers can easily purchase products on the go. They don’t need to have a laptop or desktop, they can easily explore your store through their smartphones. It will not only benefit the store owner and customer it will benefit the sellers too. Sellers can see their dashboard, order history through the mobile app. So what are you waiting for, you must now have an Opencart Marketplace Mobile App to be a step ahead. Customers can contact to the seller. 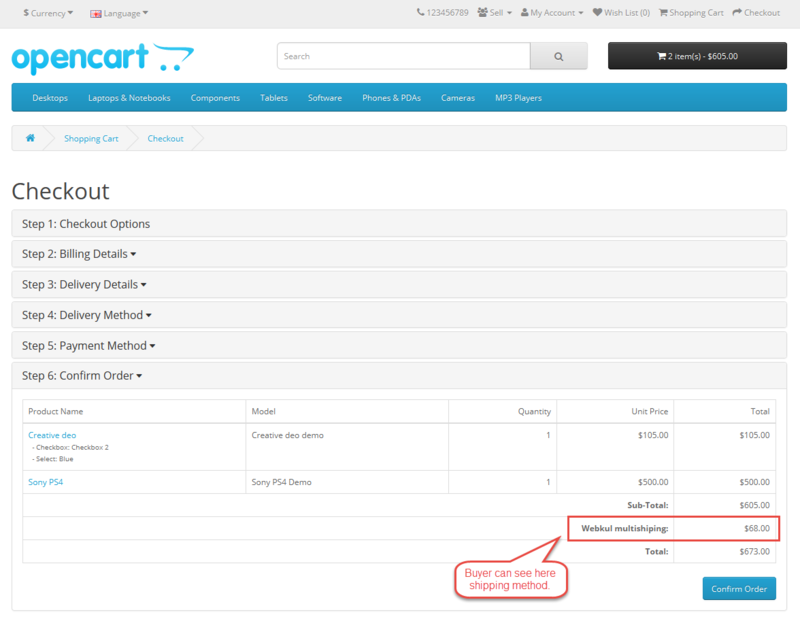 Installation of the Opencart Marketplace Multi Shipping module is very simple. 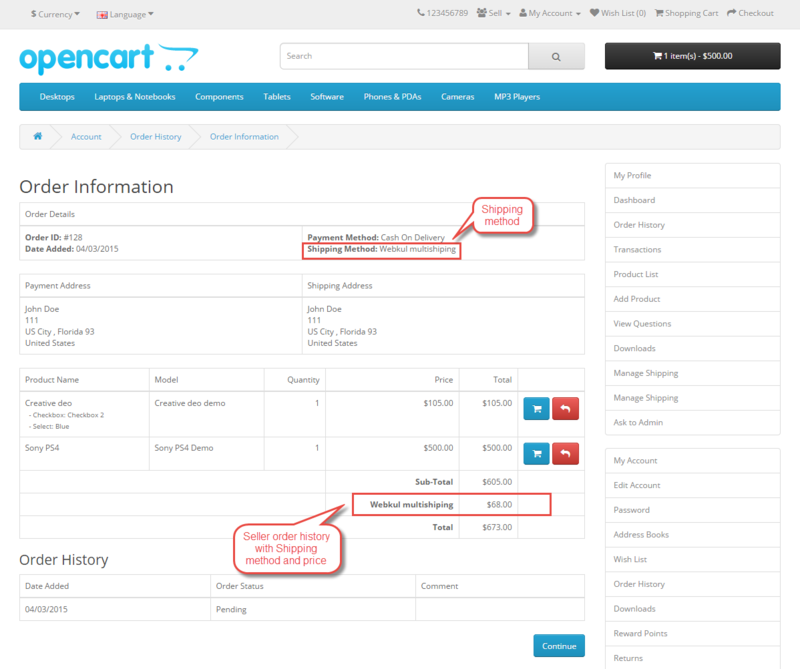 You just need to move Admin and Catalog folder into Opencart root. 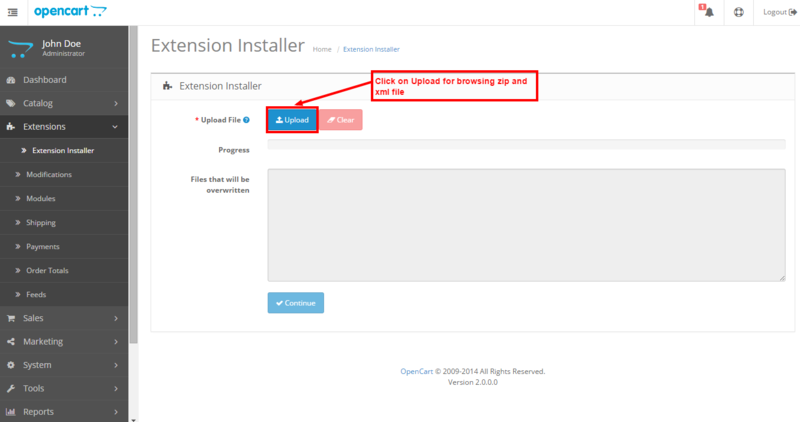 You can also install the Opencart Marketplace Multi Shipping module by uploading the zip and XML file through Extension Installer. After uploading the file go to the Extensions > Modification, and click on “Refresh”. 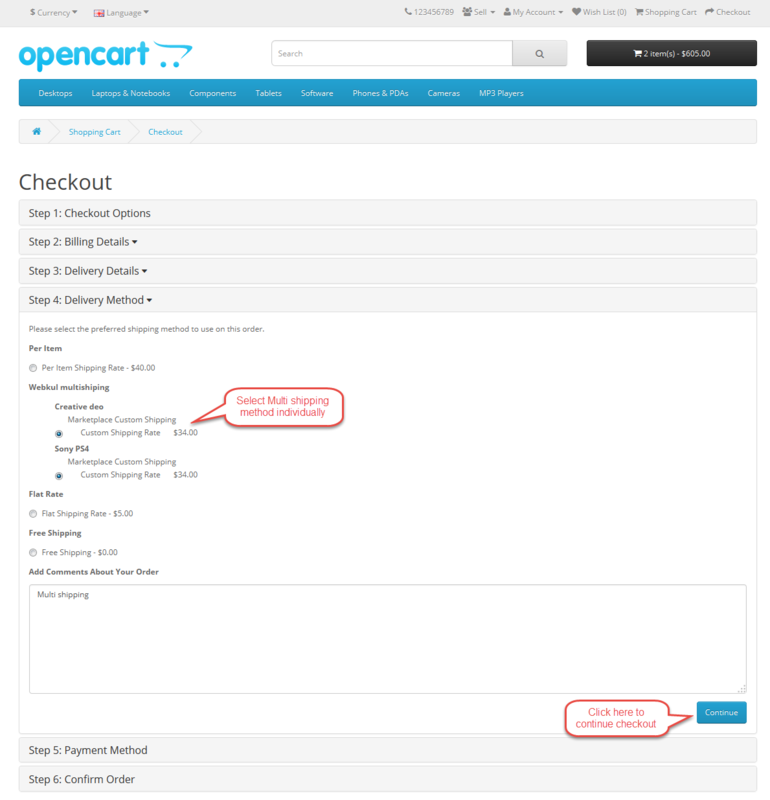 After that under Extension > Shipping, install the Opencart Marketplace Multi Shipping module like this way. After click on edit option below page will open. 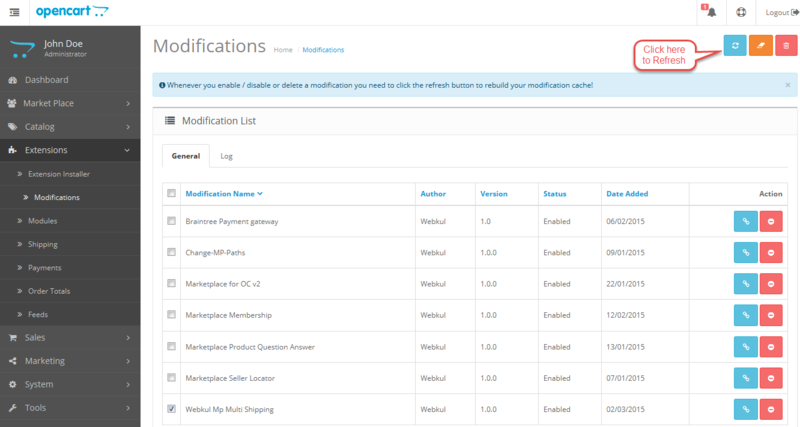 Admin can enable or disable the status of the module. The shipping title as it will appear in the front end. Select Multi Shipping status as enable if you want to display in the front end. “Disable” doesn’t display in the front end. If You select “Enable” then you can apply Mp methods upon Admin product. Otherwise you can’t apply Marketplace methods on Admin product. 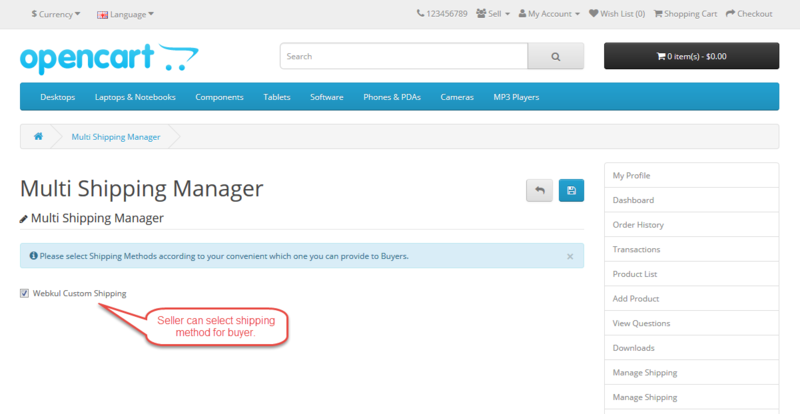 After the successful installation of the module, you will see a menu Under My account > Manage Shipping. After the click on this tab, seller can select shipping method for buyer. Now After enabling the Opencart Marketplace Multi Shipping method, Buyer can add shipping services from the different seller in the same order. After click on Get Quote button below pop up will open. Here buyer can add shipping services according to their requirement. Whenever buyer will place an order they can see Marketplace Multi shipping method individually for each product. Buyer can see the shipping method under Confirm Order section. Seller can see shipping method and price in Order history page. That’s all for the Opencart Marketplace Multi Shipping, still have any issue feel free to add a ticket and let us know your views to make webkul.uvdesk.com. Does this works with the fedex plugin?